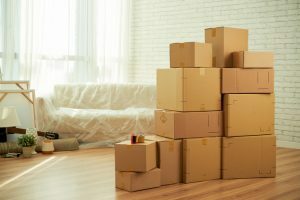 Looking for Moving or Storage Services in Douglasville? It has almost been 100 years since A.C. White launched its Atlanta moving operations. Thanks to our dedicated staff and loyal customers, a lot has changed in the last century. 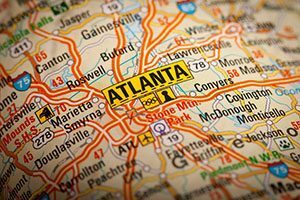 We started out as a small group of family-owned, local Atlanta movers, and now our company has expanded to include offices in many of the surrounding cities, including Douglasville! No matter how big we are now or how large your business grows, we will never forget or lose sight of the core values that make our brand what it is today, and those are a key emphasis on top-notch customer service and personalized Douglasville moving serves for every residential and commercial customer that decides to hire us. Douglasville County has witnessed an impressive surge in population growth and is now home to many new and expanding business opportunities. A.C. White wanted to ensure residents here had convenient access to our top Atlanta moving services, which is why this is the site of our newest office. We continue to employ eco-friendly policies in the workplace, including no idling for our moving trucks and the promotion of staff carpooling. To learn more about moving in Douglasville and to receive a free quote, contact us today! You do not want to trust just any Douglasville moving company with your precious belongings. Although A.C. White is fully licensed and insured, we know there are some things that simply cannot be replaced. That is why we take every precaution necessary to ensure your move is completed without fail. We run one of the oldest moving companies in Georgia, and the reason we have made it this far is because of our unwavering commitment to customer service and satisfaction. Let our 24-hour tracking and professional packing services put your mind at ease! Learn more about our residential moving services in Douglasville. Is your business expanding? Have you tried desperately to find a moving company in Douglasville that can adequately handle your corporate needs? Never fear! A.C. White specializes in office relocation services and has performed a countless number of these moves. Efficiency and cost-effective transportation is our sole focus. Your company cannot stand to be offline for any longer than it has to be, so let our movers in Douglasville handle the hard work of the new office setup. Find out more about our office moving process in the Douglasville area. When you have short- or long-term storage needs, A.C. White has you covered! Our facilities were designed to protect our clients’ property at all costs. Our top-of-the-line facility features include climate control, 28-foot high ceilings for palletized storage, bar code scanning technology, burglar protection, multiple loading docks, sprinkler systems and reinforced concrete and steel construction. A.C. White is proud to serve the Douglasville area, including, but not limited to: Austell, Mableton, Lithia Springs, Clarkdale, Powder Springs, Winston, Villa Rica, and Chattahoochee Hills.